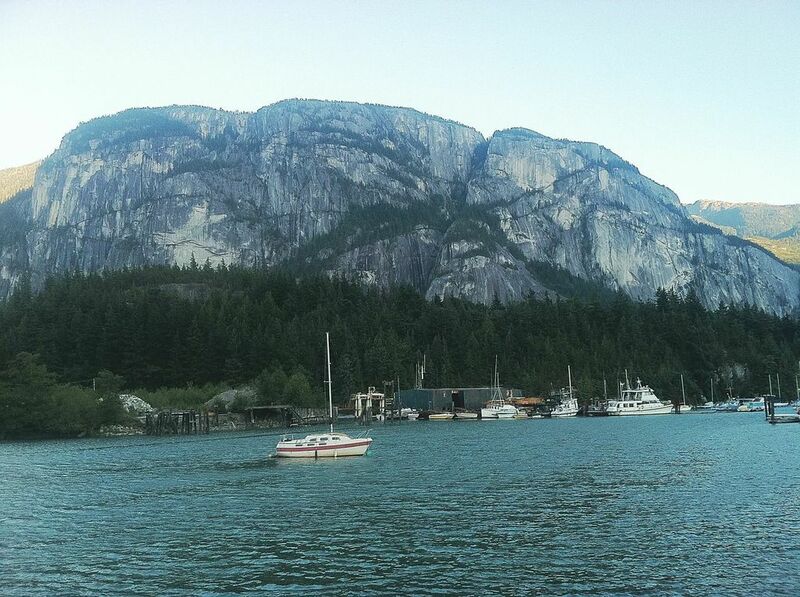 I like Squamish, BC a lot. This isn't the first time I've said it, and it won't be the last. 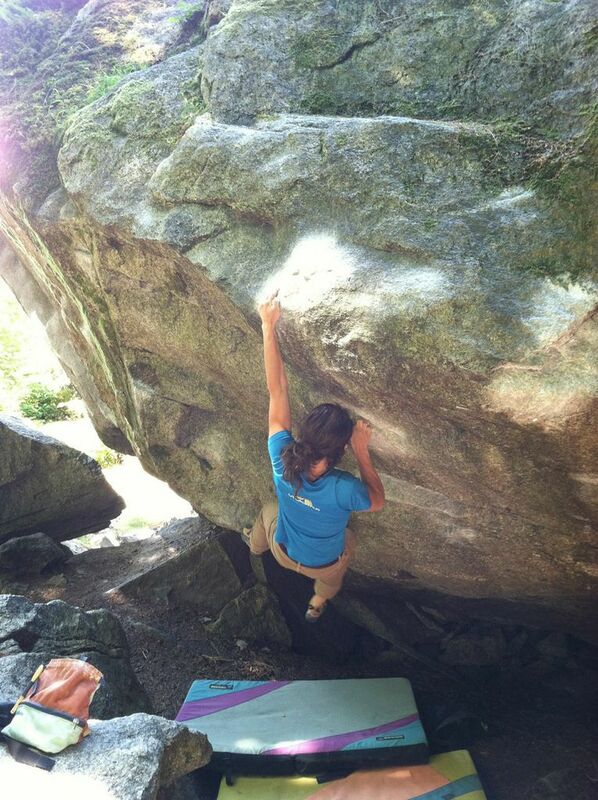 I've spent 3+ months there in 3 years, and though I wasn't climbing every minute of every day, that's a lot of bouldering. But all that time doesn't stop me from feeling like I never want to climb there again at least once per trip. 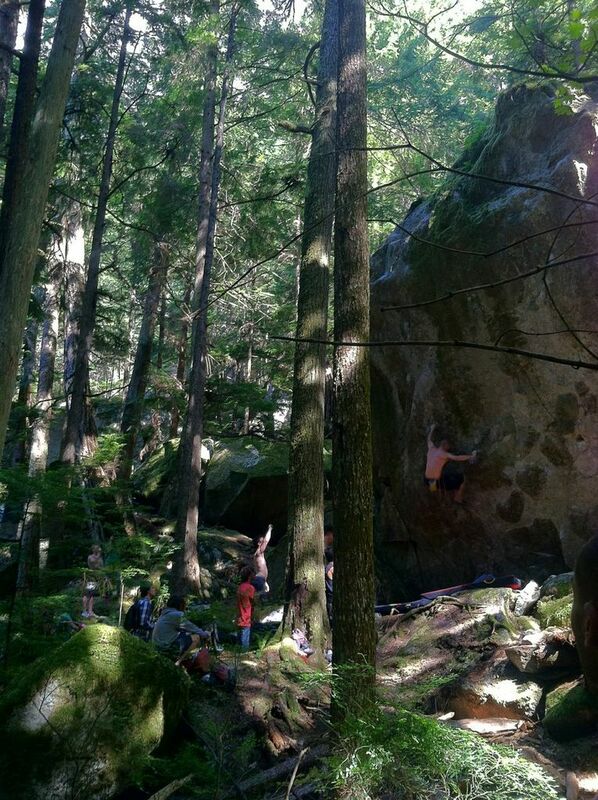 Squamish has the steepest learning curve of any area I've ever been to. Every time I return to the forest, I need at least a week (sometimes more) to get reacquainted with the style. Last year it was so bad I (and others) refused to take rest days, lest we lose the knack. It seems that even the locals need a couple days to remember how to do it right. 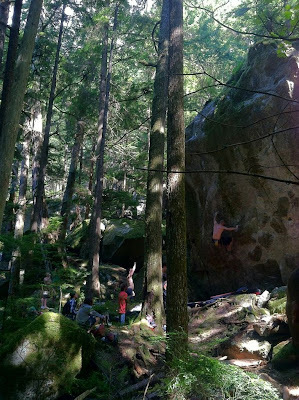 This learning curve hit me hard this year, way worse than even my first time in Squamish. This beat down lasted two brutal weeks, weeks where I was more inclined to read in Wu (our decked out cargo van)  than fall off another V4 (keep in mind, Squamish V4 is really, really hard). 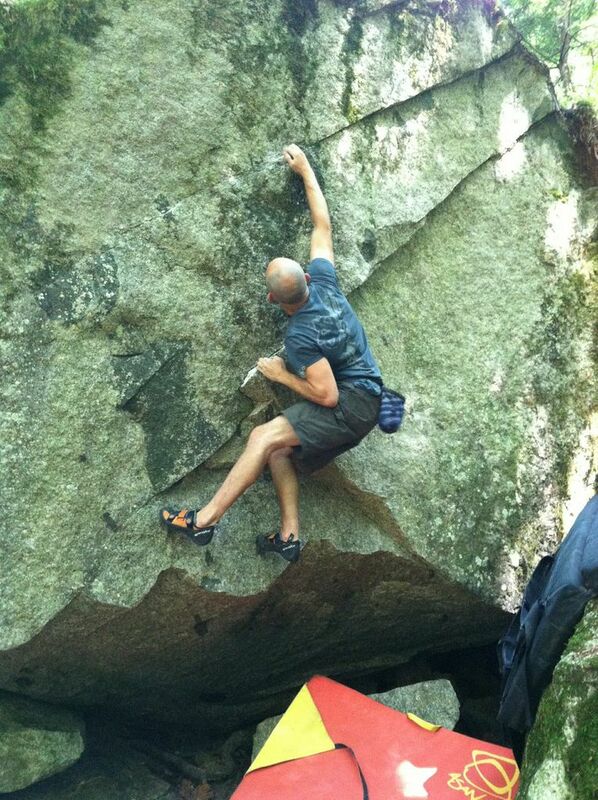 Thanks to inspiring friends, I was forced to pull out of my deadening climbing depression by week three. The first couple weeks were markedly uninspiring, but the last week more than made up for it. I managed to log the highest V point week of my life. 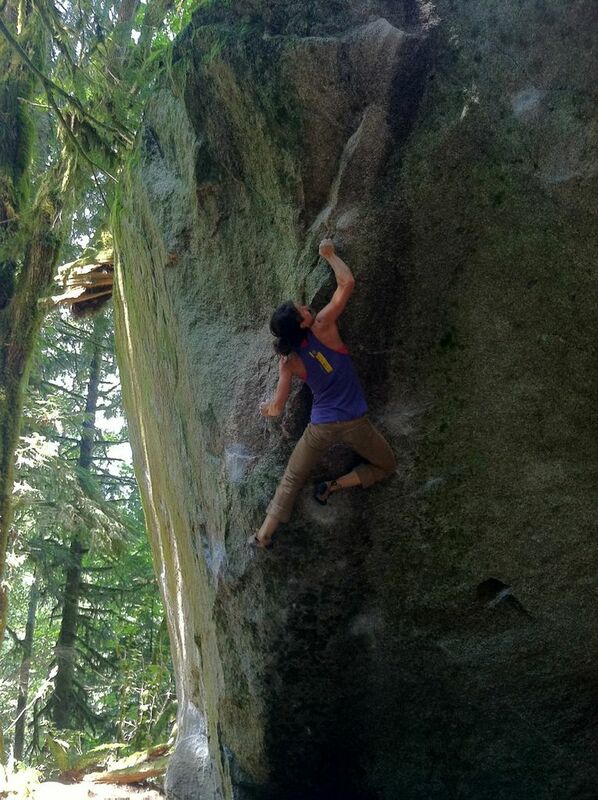 Squamish is my favorite place to road trip to, and it's not because I climb well there. I usually don't leave with big ticks or lots of numbers. Squamish is a great road trip destination because of the people, the community and the experiences . I hope that I can remember that climbing trips aren't always about the climbing, it's about the people and the sights and the dogs and everything around the climbing, but I'll forget that someday, and have to relearn. And that's okay, too. I took all these photos, which is why I'm not in any of them.